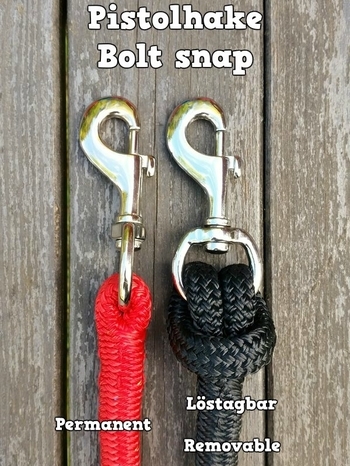 Lead rope with a bolt snap for quick and easy attachment. 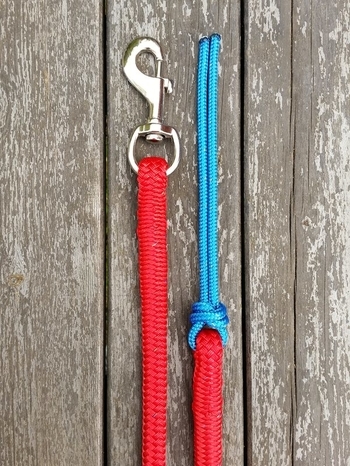 There are 2 variants to choose from: one where the bolt snap is permanently spliced into the rope and one where the snap is attached to a spliced loop and can be removed. That way you can easily replace the snap if it were to break, which many snaps unfortunately do sooner or later. 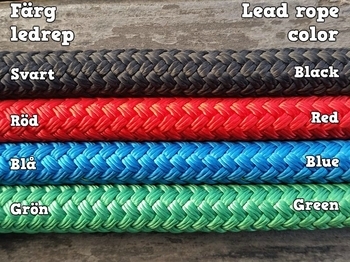 Lead ropes with removable snaps are a good alternative if you prefer the simplicity of bolt snaps but at the same time want a lead rope that will last for many years. 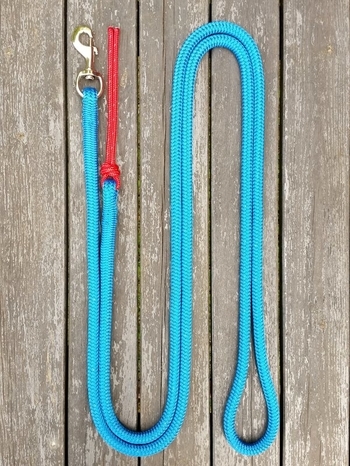 With this variant you can also remove the snap altogether and attach the lead rope directly to the halter with the spliced loop instead if you do not want to use the snap. 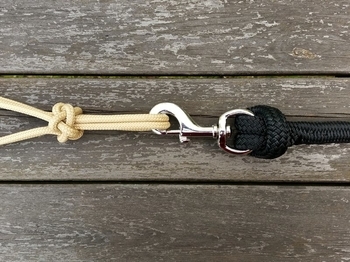 The end of the lead rope has a popper made of 6 mm (1/4") rope. 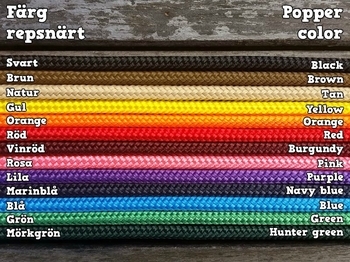 The rope popper is attached to a small spliced loop so you can easily replace it with a new rope popper or something else if you would like. 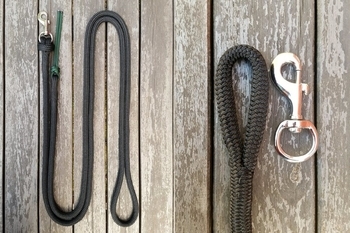 The splice also gives the end some extra weight.